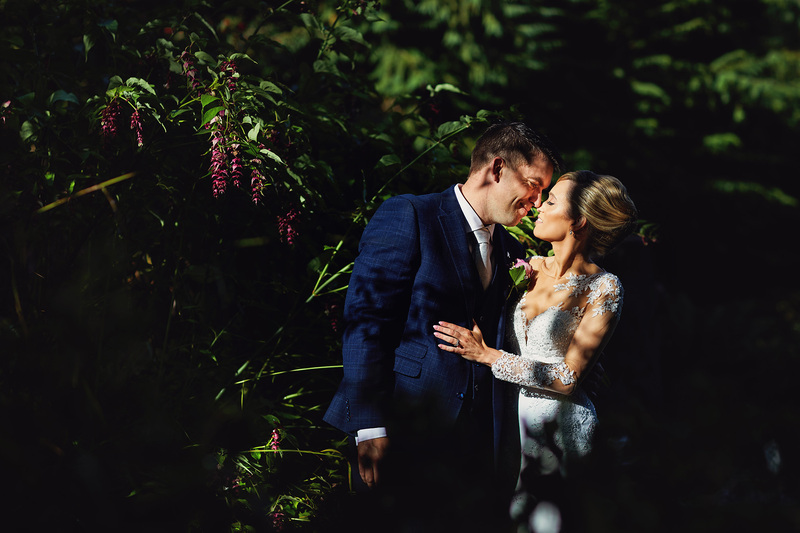 Cork wedding photographers | It doesn’t matter if you are more of the classic black and white wedding picture fans or more creative, Pinterest’y kind of a couple. There are ways to marry all the new with all the classic during your wedding portrait photo shoot. ‘But, how to do it in such a way to inspire others and make our pictures mantelpiece friendly?’ – you may ask. We are going to tell you all about it. Playing with shadows can help you create the most aesthetically pleasing wedding pictures ever. The best time to shoot these masterpieces is during the golden hour. So what is the golden hour? It is basically the time right after the sunrise or a few minutes before the sunset. This short window is the moment when the sun emits the most flattering golden-toned light. You decide if you want to make the shadows the star of the picture or simply give them a chance to be extras in it, with you. Give your Cork wedding photographers a chance to run you through the most breath-taking options to truly capture the essence of your love. Depending on the place you choose for your wedding portrait shoot, there are multiple options to incorporate the surroundings in the pictures. You don’t need to carry around a sack of props. Instead, look around you and ask your Cork wedding photographers for the ideas. Not only will this option look more natural in the wedding photos, but also is going to save you a lot of trouble. Trees, branches, colourful flowers or maybe old pavement, rustic shed and free-standing wood relicts. All of them can be cleverly used to pump up the originality of your pictures to the maximum. Most of us treasure the moment when we say ‘yes’ to the dress or a wedding tux. Yet, sometimes it is a good idea to think about the grand finale – the moment when you literally say bye to your attire in order to get the most magical shots. Jumping into the lake, submerging yourselves in the sea or simply dancing in the summer rain, can make your wedding pictures truly breathtaking. Yes, it is risky and yes, you only have one fair chance to make it work, but think about how much there is to get in return. Not only will you have an amazing and one of a kind memory to cherish , you will also receive the pictures which will be a memento of these remarkable moments. What are your thoughts on this subject? Do you have any other ideas for incredible wedding pictures? Leave your propositions in the comments below.